It was end-to-end, it was heart in mouth, and it was up for grabs right until the final siren. In the end though, it was Mt Gravatt who stood up when the heat was on, booking a final with Palm Beach next Sunday. 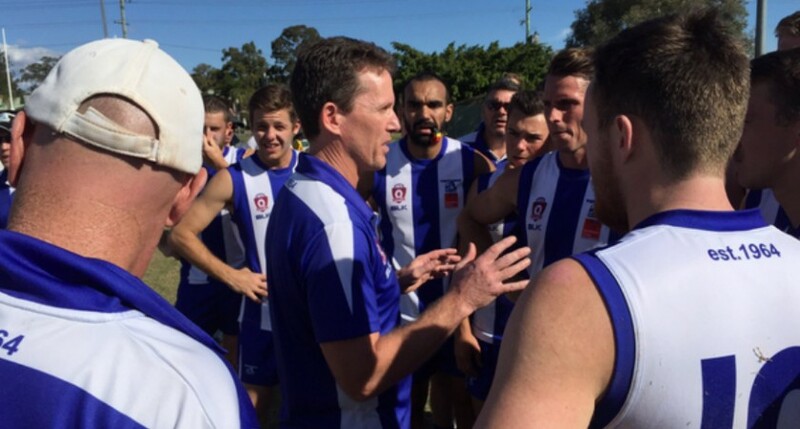 The QAFL finals are bloody brilliant: Two games, two days, two thrillers. It’s already lived up to the hype, and reflected the season perfectly. One percenters counts. First it was Chapman spoiling Green, then it was Will Hamill diving to smother the ball on the wing. They were massive in the last two minutes, and probably both saved goals. Mt Gravatt use their wingman better than anyone: They keep the space, they provide a bailout option, and they move the ball lightning quick. It’s beautiful to watch when in motion. Dom Nash has ice in his veins: 40m out, kicking to win the game, Nash drilled it. It was as clutch as it gets. Surfers emptied the tank: They didn’t get the result they wanted, but they can hold their heads up high. They gave it everything today. It was one of those game no one deserves to lose. “We definitely had our opportunities to win it, we just couldn’t take it. We didn’t use the right option with the handball, or didn’t kick it to blokes alone in the goal square. “I said at the start of the year that we would be disappointed if we didn’t make finals, we did, so that is good, but at the end of the day we should have probably gone a bit further. “They were just getting us in the middle, their outside players got us in the second half.